Dear friends and families out there, come and learn more about breastfeeding, come and support breastfeeding and come to have fun and win prizes. 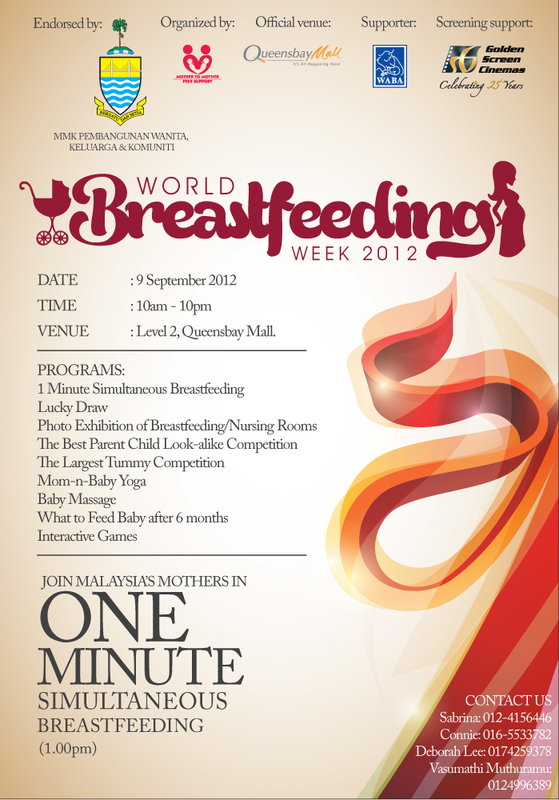 This year our event is for a whole day and we have lots of games and prizes as well sharing and learning sessions on baby massage, what to feed baby after 6 months, yoga for mom and babies and our unique MMPS event held each year without fail – One Minute Simultaneous Breastfeeding event for those who are currently breastfeeding with mothers from all over Malaysia. Throughout the day we have a Photo Booth for parent lookalike competition and for those who just want family pictures taken. Come have fun as well as support your community.